Guests are served on a first-come, first-served basis; no reservations or advance wait list placement is available. 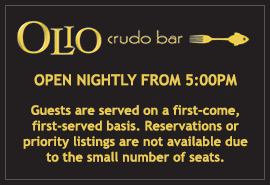 Olio Crudo bar is the latest addition to the Olio group, offering crudo(raw) Italian seafood and meats, as well as cotto (cooked) bar menu items. The menu is highly ingredient-driven, showcasing the freshest seasonal products. 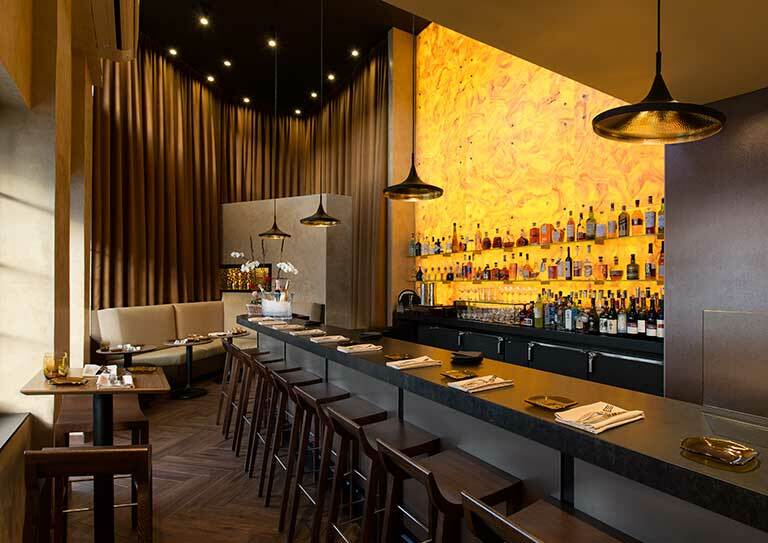 Olio Crudo Bar is inspired by the crudo you’ll find in all towns – both large and small – along the coast of Italy. Sicily and Sardegna are particularly known for their style of crudo, which relies on the traditional Italian method of preparing crudo: dressing the thinly-sliced fish with a little sea salt, and Olio e Limone. Think sashimi with an Italian accent!